This page includes links to several sites that can prove to be a really valuable resource of other campers actual experiences at specific campgrounds. Sometimes the reviewer has a special bone to pick about a specific thing that happened to them. But, after reading several of the reviews of the same Campground, you can quickly get a relatively good picture of the true quality of that specific Campground. These reviews can be a big help for you to make a more logical decision of whether it is an interesting place for you to camp. And, of course, you can sign up on these sites and leave your own reviews of your favorite and worst campgrounds also. This site provides a place for you to rate any campground that you have used. Whether your experience was good or bad, you have the freedom here to let your fellow campers know the facts about your stay. 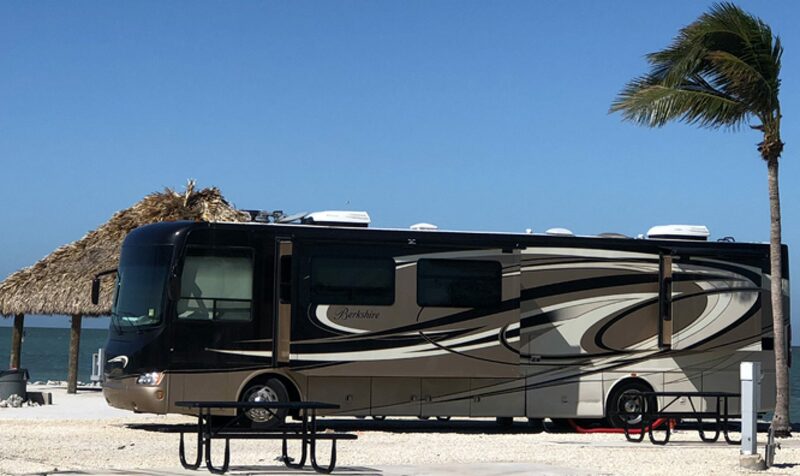 This is actually my favorite RV review site, and I use it often for entering my campground experiences, as well as checking on campgrounds that I am considering using on trips. Camp Rate is another good site that provides useful information and camper ratings of numerous Campgrounds around the country. The Campground Report site is a good source of unbiased user rankings and reviews of many Campgrounds, around the country.